Stardate 3842.4. Tonight Icarus201 (0-0-0-0-2) picks up the gauntlet Comic Clint (1-0-0-0-1) has thrown down, sending The Indifferents' 1st round draft choice, Flash (Barry Allen) out to challenge Lobo, Clint's Cavalry's 3rd round pick. Their battleground? The decks of the USS Enterprise (NCC - 1701), as she proceeds on her Journey to Babel. You and your opponent are transported across time, space and dimensions to find yourselves materializing on board the Federation Starship Enterprise, sometime in the year 2268. You each arrive in a different section of the starship. At this time, the Enterprise is transporting dignataries from several Federation worlds to a diplomatic conference on Babel. These diplomats and their delegations are also present on the Enterprise. The fight takes place over the course of 24 hours. The entire interior of the starship is in play. NOTE: There are 2 links for this environment, one describing the ship (click here, on the environment name, or first 2 images) and the other giving specifics for the events occuring when you arrive (click here or on the 3rd image). * Feel free to comment on why you voted the way you did, or why you disagree/agree with somebody else’s rationale. * It is a good rule of thumb to hear from both managers before voting. All votes are final, even if you accidentally push the wrong button! * The winner merely has to subdue his/her opponent. It is not a fight to the death. Wrapping somebody up, possessing them, kill your opponent, knock them out, render them incapable of fighting anymore and so on all count as victory. All a character has to do is prevent their opponent from being able to continue the fight. A fighter forced out of the environment is not considered subdued. However a fighter who himself teleports away from a fight or flees in any manner is considered defeated. * Where do fights begin? c.) fighters are fully aware that they are involved in a fight with their opponent. d.) fighters then seek each other out. In a cell that is not so much a problem. In an open area it becomes a bit more difficult. * The power(s) that a character takes into a fight are their current powers unless stated otherwise in the fight listings. Fight 10 (Round 4, Fight 1) between Ukblueky and Icarus201 posts Thursday evening (August 23). Submissions are due by 9 pm Central time Monday Aug. 22. In a straight up, physical fight, I think Flash is the most powerful character in this tournament. Many characters with different abilities can beat him, but I don't see how combat monsters like Lobo have a chance. As usual, I will withold my vote for later, but leaning Flash. However, the more cramped environment does lend itself more to Lobo than a speedster. Oh man, this would be a great fight in the comics. Such opposite personalities, and both so powerful in their own rights, but in completely different ways. I hope this fight is a good one! Not a lot of running room on the Enterprise for Flash. Hey, true believers! Join your fellow comic book and sci-fi lovers on my NERD NATION Facebook page! Join us today and get your nerd on! One's got to wonder. If it's the crew of the Enterprise we're talking about here, then you know they'd be doing something to stop this battle taking place aboard their ship, and likely damaging it in the process. And they have 23rd century technology at their disposal. Round 4 Environments are posted. 1313 Mockingbird Lane replaces Milliways. Lobo is a Beast ready to create an absolute mess out of everything and everyone aboard the starship. once flash and he meet up Barry sees that he is killing fools left and right..... Barry's first priority would be to get the civilians to safety. unfortunately Lobo Knows EXACTLY this and is planning on it ..... Lobo is not slow, he can sharpen his awareness and increase his temporal flow. he is also invulnerable and has a healing factor that can regenerate lost limbs in a matter of moments..... I picked the Starship for two reasons. #1 the mass amount of innocents that would surely be a heroes 1st priority and #2 Lobo can survive in the vacuum of space .... if he felt threatened at any time, which I dont think he would, he could simply rip a hole through the outer wall of the starship causing barry to have to try and save as many of the pweople on the ship as he could.... with his heightened awareness and that AWESOME hook on the end of his chain , as well as his increased temporal flow, Barry would be easy pickings for the Genius that is LOBO. The problem with Lobo is that he'd probably punch a hole in the hull of the Enterprise and get sucked out into space along with all the expendable red shirts. Right! Replenished after my sleep. Gonna be quick as a Flash with the rationale. Clint thinks the environment will hamper Barry and cause him problems with stray crewmen becoming casualties. Flash: Supercharged Brain Activity - Sometimes neglected by Speedsters who only operate at superhuman speeds and never slow down enough to understand their full potential; Speedsters can access superhuman levels in their brains further than processing information. They can test theories, understand difficult equations and run trial and error in their brains at superhuman speeds. Different conduits access this activity in different ways. Lobo may have all kinds of diabolical plans, but Barry's super-quick brain concocts several solutions instantly to counter all of them. Flash: Steal Speed - Speed Force conduits can steal the accelerated motion or momentum from objects or people to reduce their speed or even virtually stop them. Conduits may also steal the speed from other Speedsters or other fast moving people. Barry has stolen Lobo's speed. He is a virtual statue now. Harmless. That enough would be enough to subdue him, but we're not finished there. There's nothing in the rules that states civilians and spectators cannot leave the area of combat. So, Barry at super-speed gathers all the crew, the dignitaries and Captain Kirk himself to the transporter room and beams them all to safety back on Babel. Lobo is still motionless, so Flash has ALL the time in the world to deal with this pest. I said he was already subdued, but Barry puts the finishing touches to this piece of trash. Barry could either vibrate Lobo's molecules apart. Sure, it's been said Lobo can regenerate from a single cell, but with everything happening as slo-mo to Barry, he could just do it all over again. 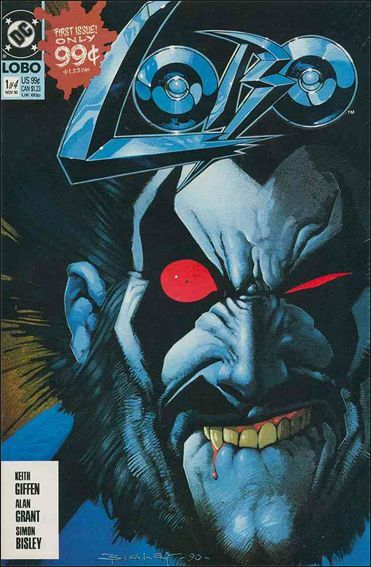 So while Lobo is reduced to a molecular miasma, he's not offensive. Sounds pretty subdued to me. Infinite Mass Punch - (Speed Force conduits have an increased level of strength added to their bodies which they can impart in different ways. Certain speedsters can strength each and every move they make however this requires attention and stress for each movement and therefore is almost never used. In most cases conduits can focus the Speed Force's extra-dimensional energies into one massive punch; when used in practiced this punch pushed a metahuman from one continent to another). and knocks Lobo clear into the anti-matter field. Instant disintegration. This is a pretty good rationale. I remember a Justice League comic where Wally West Flash carries a million citizens or something like that out of a Chinese city in the split second between when a nuclear bomb hit the ground and when it detonated. And he carried them out one by one. Quite frankly, I argued during the draft that Flash should be over the cap. Nobody listened. Plus, people, bear in mind this is the trouble with the New 52 DC characters who have only made less than a handful of appearances (Lobo). It is hard to reconcile that character's current abilities with previous DC canon, which has been retconned. Everybody should be aware of an iconic DC cornerstone character like Flash's abilities. Everything I've stated thus far, he is more than capable of doing. Can anybody vouch for Lobos capabilities in the New 52. I have no idea. I thought, based on what was said during the draft, that we are assuming he is less powerful than he was before. Is that still true? That could also work against me, if there were any tactical voting. That's up to Clint to convince everyone on. Almost wish I'd bought those Deathstroke issues to get a full measure of the "Main Man" and his current power level. well, I have always thought superspeed was THE most misunderstood power in comics. I mean, at light speed levels (like those Barry can reach) he could truly do anything he wanted before Lobo could even register his presence in his mind. he could evacuate the Enterprise, punch Lobo a thousand times, and carry him to an airlock and throw him out before Lobo even knew the fight started. 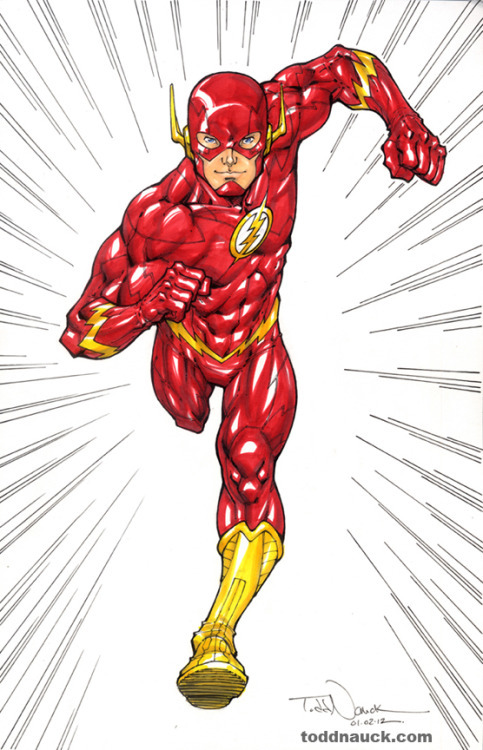 Speedsters are usually shown being taken out rather easily, but imagine fighting someone who can move faster than light. Writers just don't know what to do with this power. Why have a Justice League if Barry can take out every villain in the world before the rest of the league can throw a punch? You're done before you even know the fight has started. Only way he loses is if people do what icarus says and tactical vote. I thought he was over the cap to begin with....just like another character icarus won with in another contest...Shade. Agreed. "what would vibrating through the hull do, other then eliminate him for being out of the area" - uh, he could take Lobo and remove him. F=M*A. Imagine Flash just taking toothpicks and hurling them and superspeed. Removing the FTL speed as forces take effect on them, even at just under light speed, the toothpicks would decimate him. Flash may not kill Lobo but he'd -easily- overwhelm him. the only way Flash loses this round is if people do the tactical vote thing.